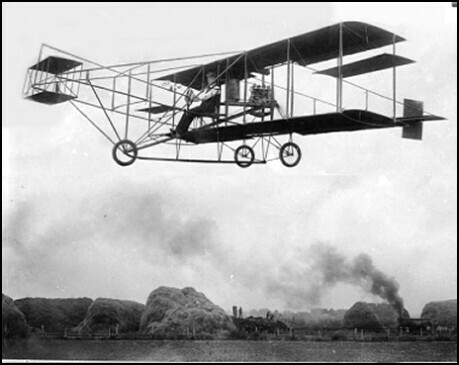 Commemorating the making of early aviation history in 1909, Early Bird ARTHUR P. WARNER of this city, purchased, assembled and taught himself to fly a Curtiss Pusher Aeroplane at Turtle Ridge on neaby Highway 15.
who flew solo before December 17th, 1916. Bill Denehie is now working on a plaque project honoring General Frank P. Lahm. It is understood that the airport at Mansfield, Ohio, is to be renamed LAHM FIELD and that the plaque is to be suitable mounted on the Administration Building. WARNER INSTRUMENT CO. The Warner Instrument Co. of Beloit, Wis., founded in 1904, became the largest speedometer manufacturer after World War I. Speedometers were available as standard equipment as early as 1908, if the customer could afford such a luxury. A brass drum-type speedometer on the Model 18 Packard was mounted in front of the "gear change" and outside the driving compartment. Editor's Note: This anecdote comes from Transport Topics, Trucking's Electronic Newspaper. The article offers many details of the development of the speedometer, including Arthur Warners involvement. Arthur P. Warner, pioneer aviator, inventor, and industrialist, died March 22, 1957 at his home in Beloit, Wisconsin at the age of 86. At the time of his death he was Chairman of the Board of Warner-Patterson Company, Chicago, manufacturers of automobile parts. He held over 100 patents on his inventions.A.P. 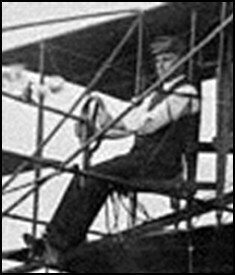 Warner learned to fly in 1909. The plane was sold to him in sections and was assebmeld by him prior to the flight. This was the third airplane built by Glenn Curtiss. Following a limited early education in electric engineering, he engaged in creative invention. His first major creation was a dynamo, but his more notable inventions later were the first magnetic speedometer for automobiles, the electric brake, and many other instruments and devices. 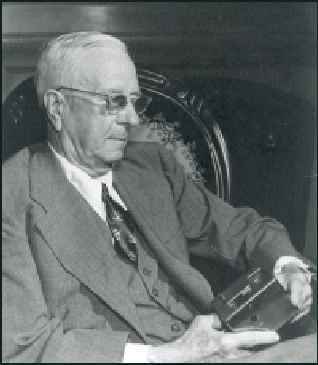 He formed the Warner Instrument Company in 1904, and this firm became the Stewart-Warner Company later on. He was also affiliated with several other electrical manufacturers. He became president of the Warner-Patterson Company and in 1955 was made chariman of the board.